Most times when I take pictures of food and decide to blog about it, it is somewhat planned. Either I have made arrangements to meet with some people or we were going to eat out after hockey or softball. Sure, there are times where I take the family out for food; but then again, I was intending to do that already. However, this was a completely random food adventure. We were at the Kid's Market at Granville Island for Costanza's son's birthday. When we arrived, he immediately asked me if I had brought my camera. A rhetorical question of sorts because I bring my camera everywhere. I thought he was asking me to take photos of the party; but alas, he was looking out for my blog. He had ordered pizza from Olie's and thought it would be a great opportunity for me to cover quite a bit of their menu. I gotta thank him and all my other friends who not only put up with my antics; but actually go out of their way to help me out. By virtue of a large party, Costanza decided to order several pizzas. I'm not going to talk about each and every one of them since there is only so much that can be said about a Pepperoni or Hawaiian pizza. 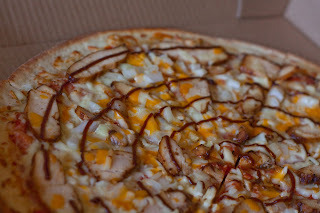 The first pizza I tried was the BBQ Chick en with onion, cheddar cheese and BBQ sauce. With big slices of chicken breast, there was no confusion as to what type of pizza this was. However, I would've preferred more BBQ sauce. 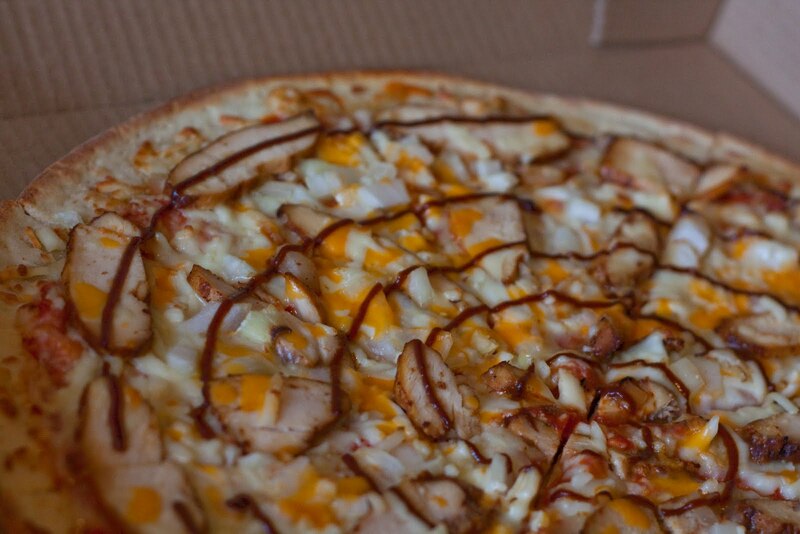 I like my "BBQ" pizzas with a big smoky sweet taste. 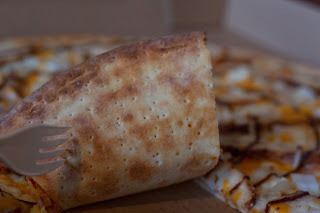 In terms of the crust, it was pretty thin and it wasn't too soggy in the middle. Since it was delivered, the crust was no longer that crisp. My best guess is that it would be a whole lot crispier if eaten fresh. Instead of being chewy, the crust was more "pita-like" and dry. Hence, that is another reason there should have been more sauce. 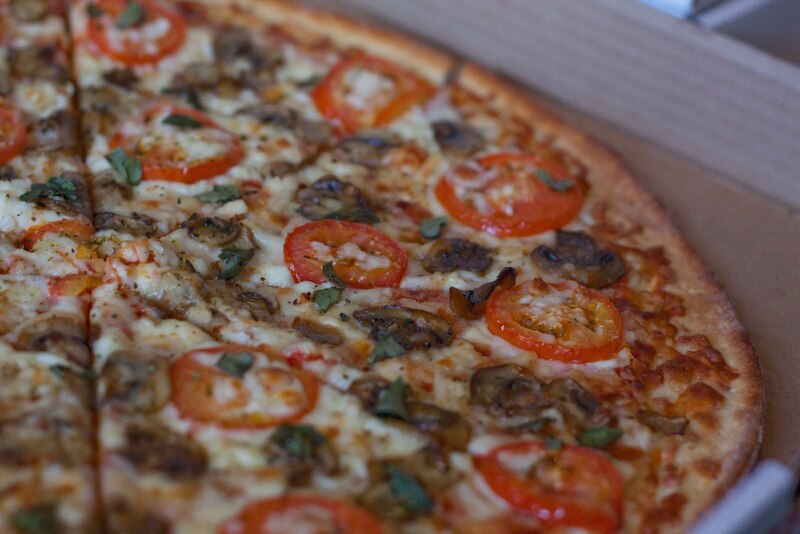 Next, we had their Margherita Max which was a combination of fresh tomatoes, mushrooms, Italian seasoning and fresh basil on top which resulted in a relatively decent pizza. Sure, it was not in the same class as places such as Nicli Antica, Pizzeria Farina and Verace, but it isn't intended to be. Of course, that is like comparing San Marzano tomatoes to BC Hot House. 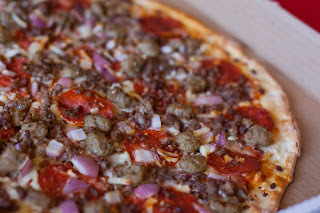 For me, I liked the Meatlover's Pizza with Italian sausage, ground beef, pepperoni and red onions. There is something about an overload of meat. In terms of pi zza in a general sense, without looking at what type it is or its authenticity, the pizza was decent. And since this is not a true Italian pizza joint, I am not expecting authenticity. 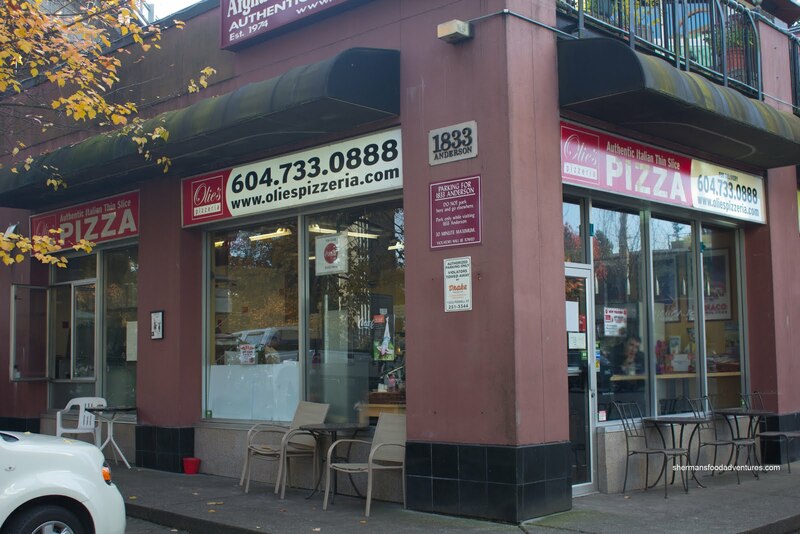 However, when compared to other take out pizza joints, Olie's is a departure from the usual. I ran by Ollie's today on my way to Granville Market.... funny, I'd never noticed it before. I was quite curious to try it for some reason but we have pre ordered a cassoulet from Oyama and we had planned to have that for lunch with duck. 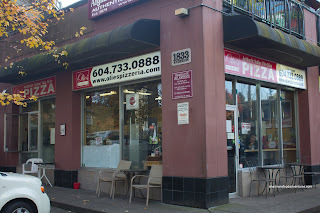 The previous pizzeria was Amadeus, which IMHO was better than Olie's. Amadeus also made some amazing calzones.